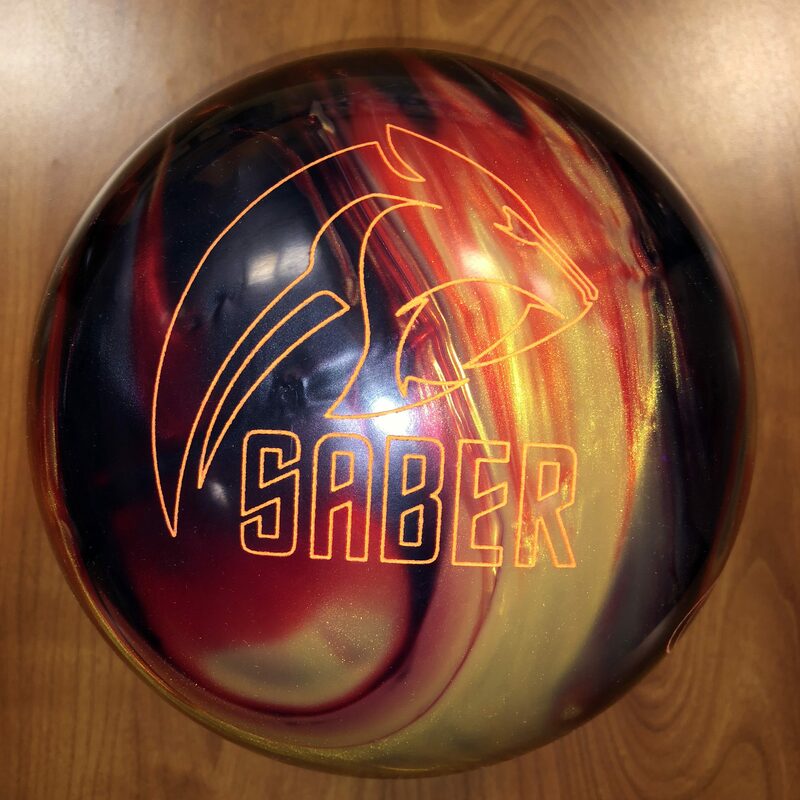 The Columbia 300 Saber Pearl seems to find a balanced formula that seemed to work for everybody. Clean with a nice strong consistent arc. It left a smile on our faces. Buy the Columbia 300 Saber Pearl at PerfactAimBowling.com. The Saber Pearl is mid level priced, performance is on par with it’s pricing so I think it’s a good value for the money. The Columbia 300 Saber Pearl uses the New-Dynamic asymmetric core inside the Reflex pearl coverstock. For Columbia 300 fans out there, you will remember that the New-Dynamics core was used in the Antics line in some form. Specs look identical so not actually sure what the difference is. Anyway, the Saber Pearl seems to offer that typically controlled but boomy downlane middle of the road motion. Offers easy length but not one that feels too long. It’s also not super strong overall so you don’t have to open your angles significantly and give away the pocket. It just feels like a really solid middle ball that will be very versatile. It’s not super strong and not weak. It feels just right. It never felt like it wasn’t going to read the lane. Since the Columbia 300 motion is so prevalent, it actually fooled me into thinking it was very similar to the Lit Pearl until I threw it and realize the the Lit Pearl is clearly stronger, by a few boards. Sean was up next and he had a really good look. The Saber Pearl is a pearl asym and we’ve talked about how he likes this combination. 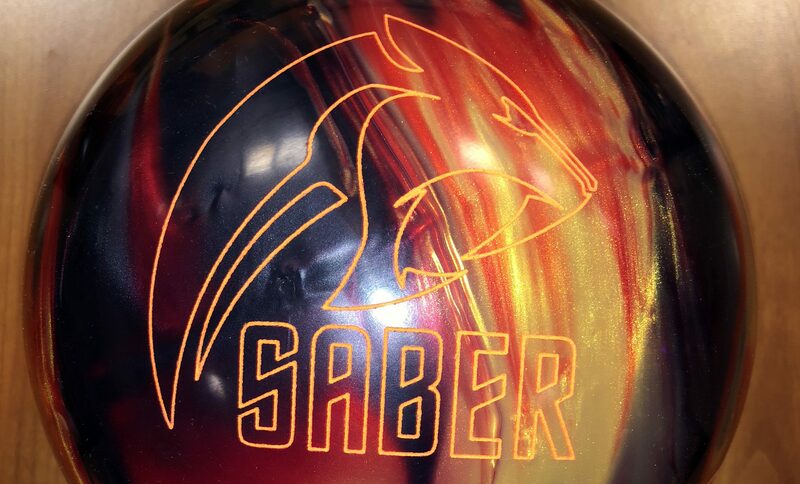 The Saber Pearl was no exception. It’s not the strongest one out there but he could easily control the pattern while staying “in front of himself”. It offered a good balance of length and midlane read with good backend to go through the pins the right way. Again, when comparing to the Lit Pearl, the difference was even greater with the Lit Pearl being an arrow stronger. Finally Bryan tests the Saber Pearl. Bryan was able to take advantage of the clean motion with arcing backends to have a pretty nice look. The ball smoothed out the lanes, even though he’s really close to the friction line. Many times when balls are very reactive to dry, but clean through the fronts, he gets over/under. However, he didn’t see that with the Saber Pearl. For Bryan, the difference between the Saber Pearl and Lit Pearl is almost negligible. It wouldn’t be worth it for him to have both balls. For me on this 38ft sport pattern, it’s pretty simple. The ball has the shape for the medium to shorter patterns that I like to see, I just need a little surface to give more midlane control. Otherwise, I really like the shape. For Bryan, this level ball is just underpowered for him on this sport shot. He normally goes straight for the stronger asyms and this coverstock is middle of the road. Ball is clean but without the surface it just doesn’t have lots of oomph for him. Ultimately, the Columbia 300 Saber Pearl proved to be a very nice middle of the road pearl. Offers control that we’ve become used to from Columbia 300 but with decent pop downlane. For high rev bowlers and tweeners, this ball fits very nicely in the middle of an arsenal, while still being an asym. I like having that option as most of the time, the middle balls go to symmetric. For lower rev bowlers, it will be a ball down for medium to lower volumes. For Columbia 300 fans, I think this ball will sell itself.